STYLE-FOR-STYLE: According to Martha, these are 18 go-with-everything, paint-anything, put-anywhere hues and projects that will work in any room. 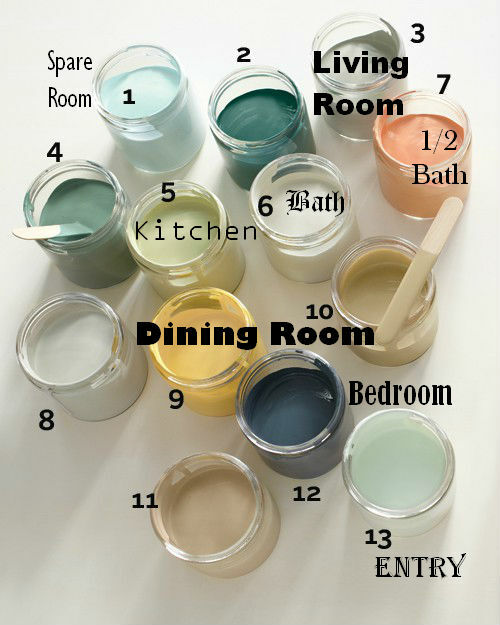 According to Martha, these are 18 go-with-everything, paint-anything, put-anywhere hues and projects that will work in any room. When I first saw this pin, I was like WOAH those are all my colors! actually my bath room is a combo of 6 and 1 stripes. I'll admit they really DO go together, however many of these paints were given to me by my mom, and friends left over from their own projects (paint is expensive!) although who isn't happy to have Martha's stamp of approval. I'm thinking that maybe #4 would look lovely in the office, I'm really getting sick of the avocado that's in there.